For many years, I didn’t even tell myself I was an adjunct. Even though my financial status was a pale shadow of what a full-timer’s was, I acted like I was the same. Adjunct are the same as far as qualifications go, but quite different when quality of life is compared. 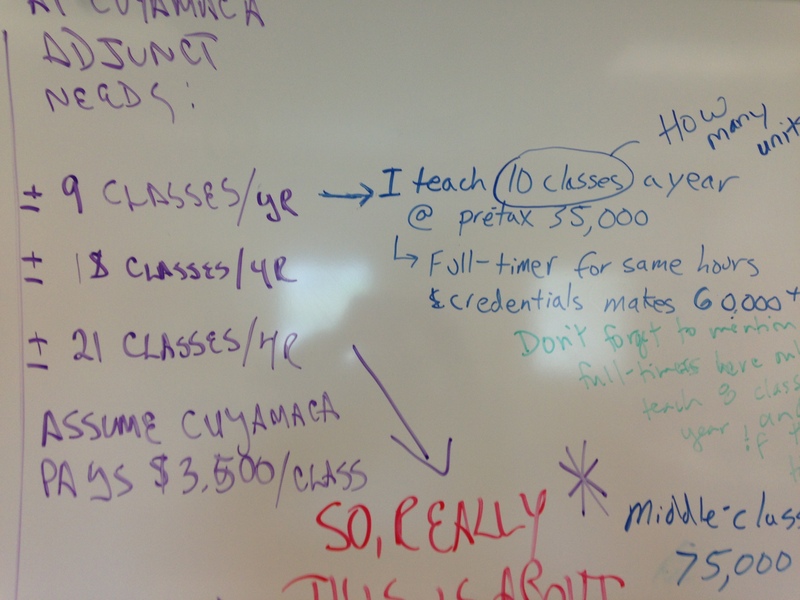 One day, when I didn’t win the full-time positions lottery, I suddenly saw myself for what I was: an adjunct. First, coffee. Then, file for unemployment, the absurd moment, dreaded…a vision of the dead end. How many times have I applied? 40? 50? Who’s counting? It’s just part of the “job.” Once the tentative agreement expires, and I have no reasonable assurance of being rehired, I am unemployed. The shame. It is absurd…I must embrace the absurdity, stifle the nausea and…collect the pittance I am due, which I have earned already. Seemingly, in some meager attempt to compensate for the inequity of my pay (to make it ok? ), a California court awarded me and my adjuncts across the state in 1988 the right to file for and receive unemployment wages, once the semester ends and the tentative agreement expires. Then what? Oh, to work. 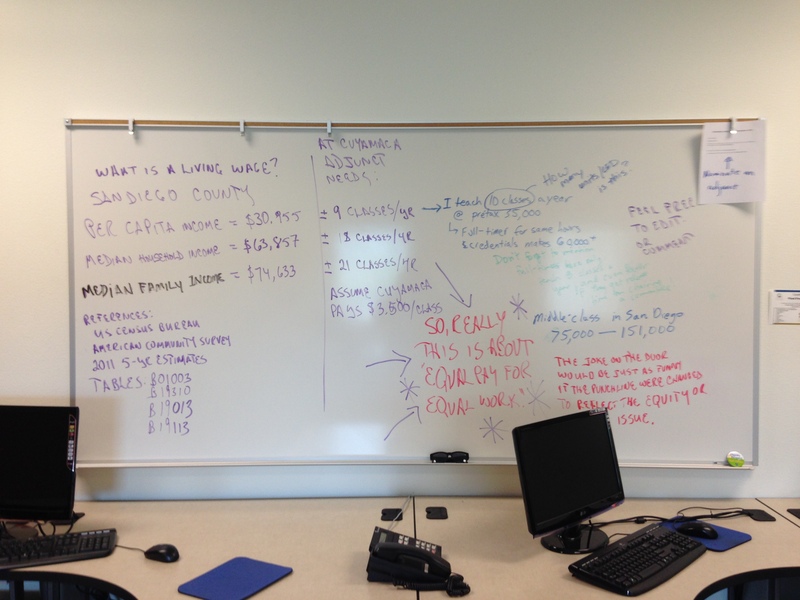 Final compositions of introductory and advanced students, lengthy, researched tomes, about 5 dozen to evaluate. And calculate and assign a grade for each student. One sent me a paper on Google docs. Some requested that I make comments on their papers. Shall I take odds on how many will return next fall for their comments? How closely should I mark them? 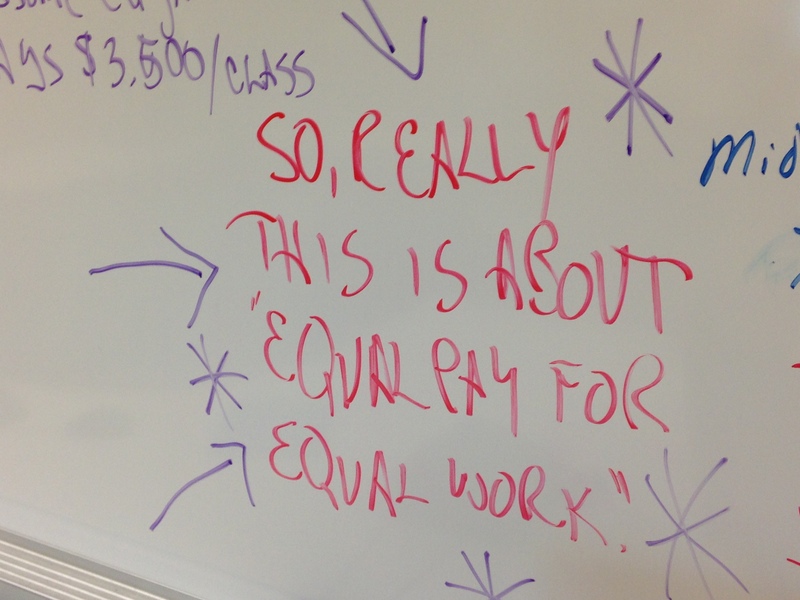 What wisdom might I impart to my erstwhile students, at this moment, after the tentative agreement has expired? Ah, the absurdity. I must embrace it, and take the pittance, for the lean times ahead. Last year, I “ended” my college teaching career with a bang–a banging headache, that is, from the copious amounts of sugar I packed down at the surprise party my students threw me on my last day of class at OSU. It was an emotionally-charged day amidst an emotionally-charged time that I will never forget. In the year that followed, because my professional future was so unstable, I vowed to take every opportunity given to me, even if that meant working multiple jobs. 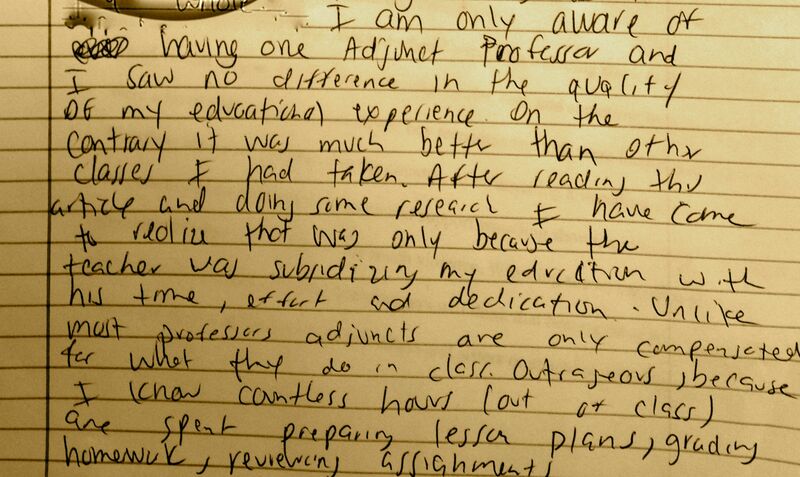 One student’s awakening to the sad fact of adjunctification . The Academic Avenger’s latest mission is based on an article by Rebecca Schuman published Feb. 5 on Slate.com. If you don’t follow her yet on Twitter or Facebook, you probably should! Like the Academic Avenger on Facebook or follow him on Twitter to hear about new episodes. Adjuncts are all too aware of their exploitation. 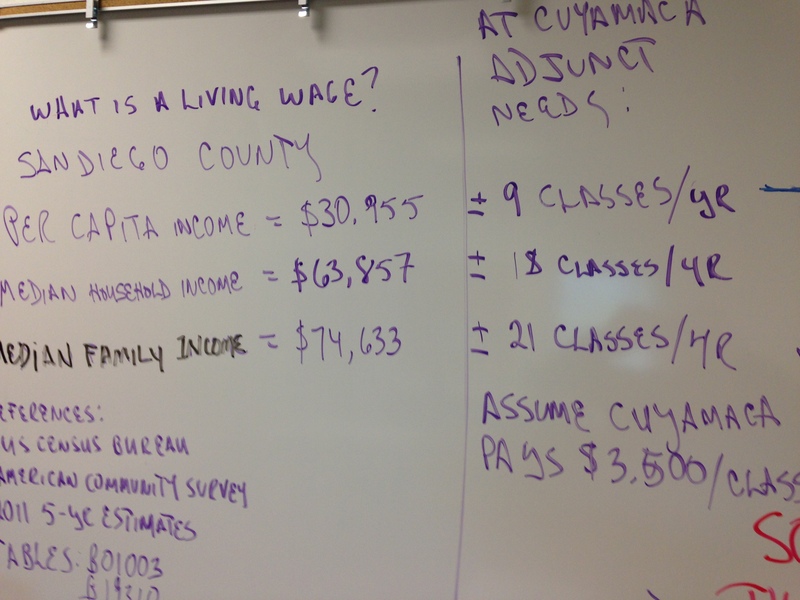 Here is a chalk talk (dry erase) among the adjuncts at Cuyamaca College. As you can see, the numbers tell the story. 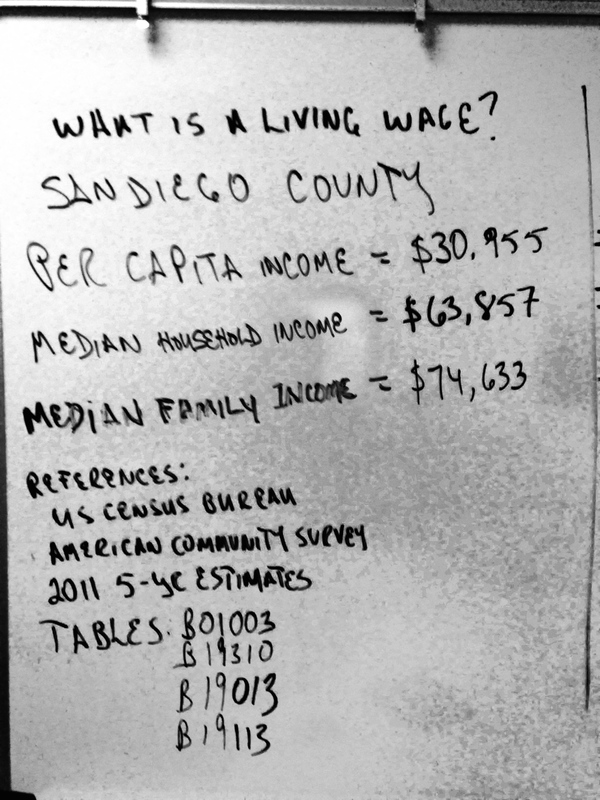 Adjuncts are working more than Full-Timers but getting paid less than half for the same work done.